J. Philip Wogaman understands the uncertainty surrounding most moral questions. 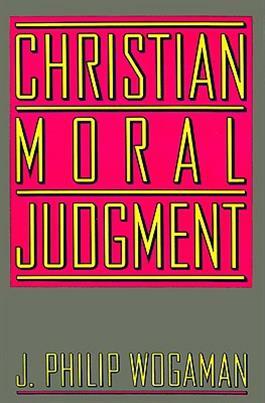 He believes, however, that religious faith makes a difference in one's ethics, that Christian character is fundamental to decision-making, and that it is possible to arrive at judgements on today's complex moral problems in light of Christian faith. This book includes chapters on the centrality of moral character and virtue, as well as on the contribution of theology to ethics.